You've seen the girl version....and the boy version...but what if Mommy and Daddy don't know whether the baby is a boy or a girl? 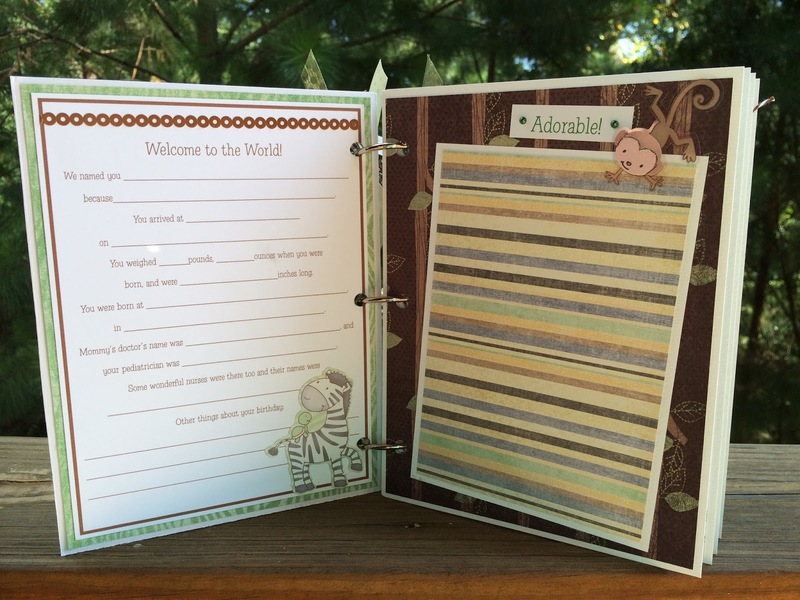 Here's an adorable, gender neutral version of our popular Baby Scrapbook Journal. 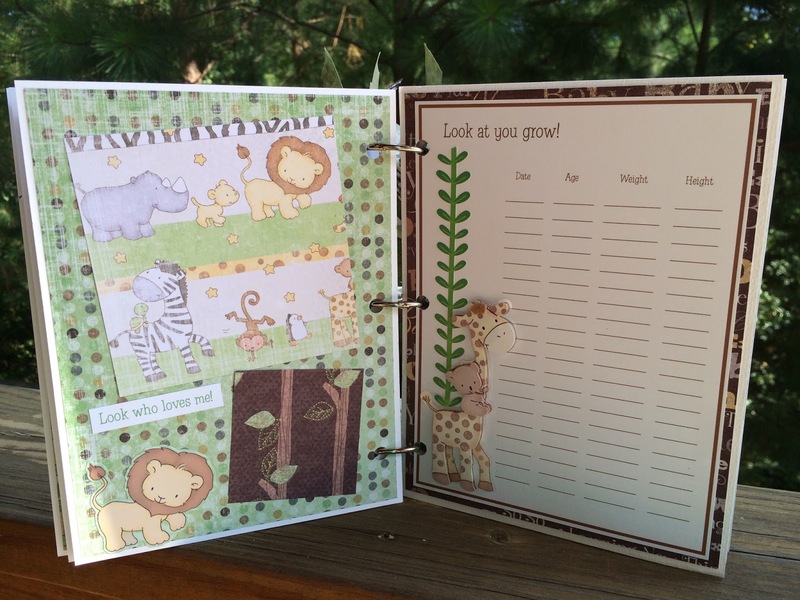 Super cute jungle, baby animal theme....loving this one! 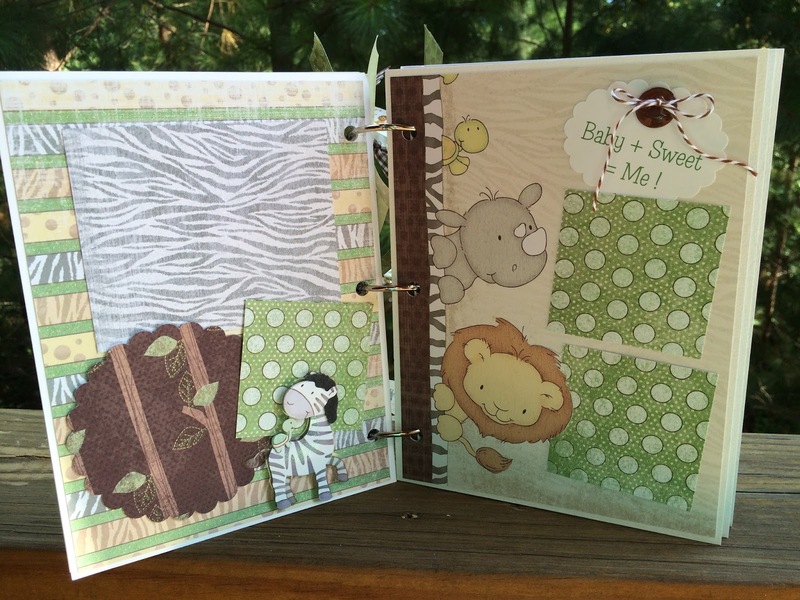 This baby scrapbook journal mini album is available as a DIY kit ($39.99) or pre-made ($49.99) and will make a wonderful keepsake for all of those treasured newborn memories and milestones! 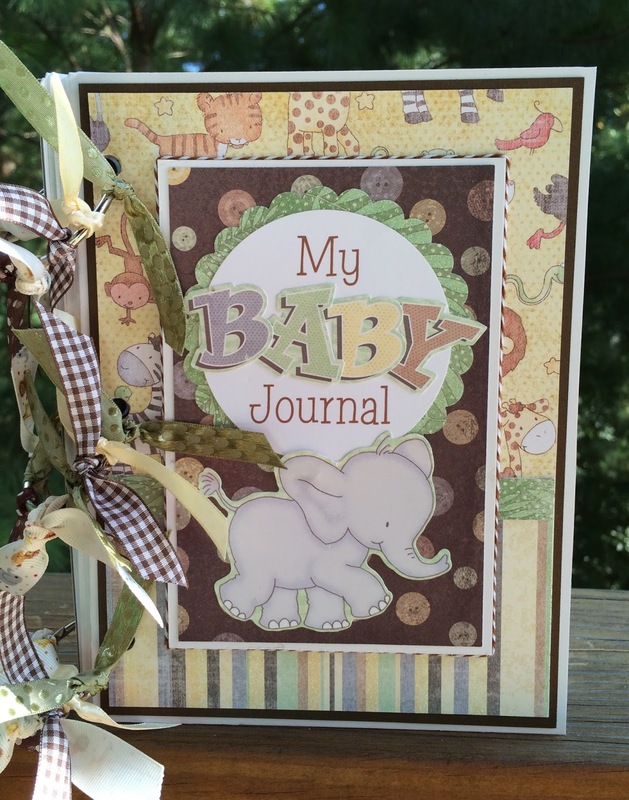 It is a beautiful little journal album for a new baby (gender neutral). 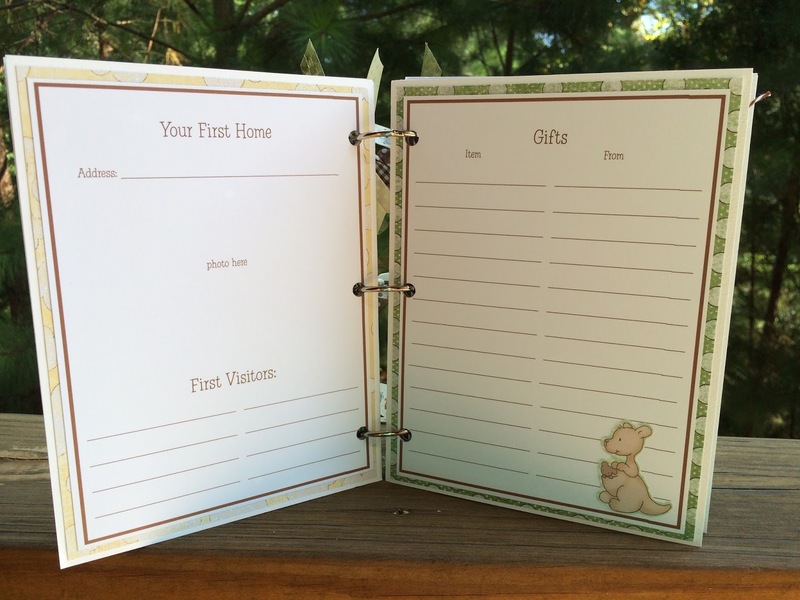 Give it as a gift for a newborn, or fill it with all of the memories of your own little bundle of joy. Pictures and details of a sweet little baby will be treasured for years to come in this little book. and space for 14 photos. The pre-cut scrapbook kit includes all of the materials and instructions to make this adorable mini album! Visit the Artsy Albums Online Shop Now!